Let's start with the front side of the paper facing up. Prepare to "mountain-fold" in half horizontally and then unfold. 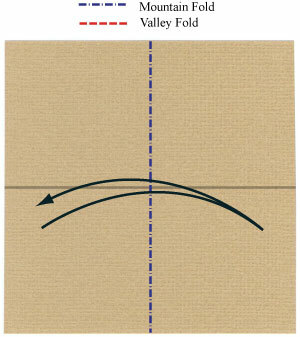 Mountain-fold in half horizontally and then unfold. 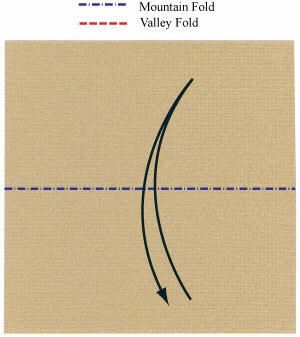 Prepare to mountain-fold in half vertically and then unfold.